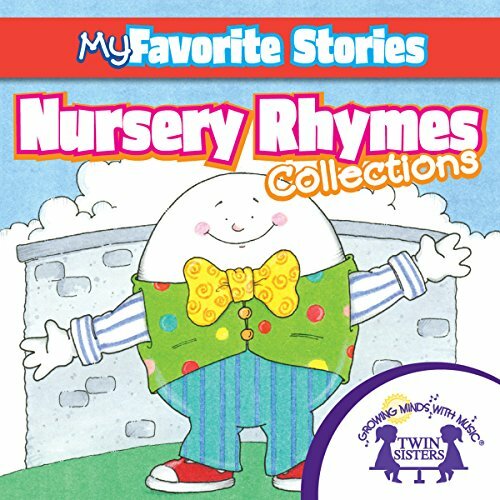 Children will love these collection of classic stories –"Hickory Dickory Dock", "Humpty Dumpty", "London Bridge", "This Little Pig", "Little Miss Muffet", "Oh Where Oh Where Has My Little Dog Gone", "Pat-A-Cake Pat-A-Cake", "Jack & Jill", "This Old Man", "Baa Baa Black Sheep", "Little Bo Peep", "Little Jack Horner", "The Mulberry Bush", and "Sing A Song of Sixpence". Then, sing along with 8 favorite nursery rhymes: "Hickory Dickory Dock", "Twinkle Twinkle Little Star", "Hey Dididle Diddle", "Little Boy Blue", and four others! Includes a 52 page beautifully illustrated book for little ones to follow along with the recording!